Run Jen Run: Corral A! 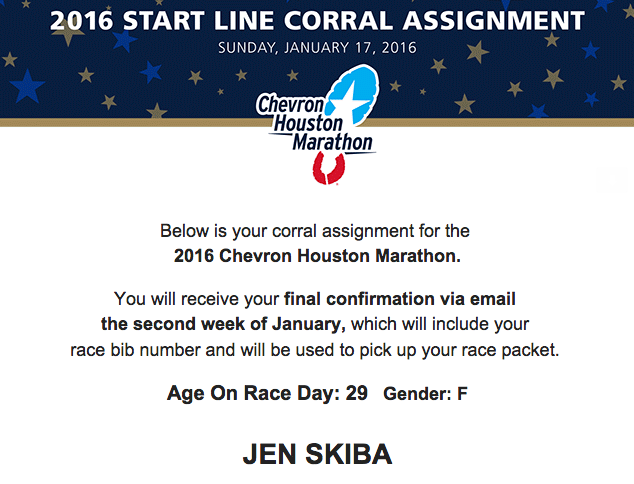 Things are starting to get real… Houston Marathon corral assignments are here! Are you running the marathon or half marathon? What corral are you in?